Official ServAdvisor Bounty campaign I: 9 750 000 SRV Tokens (~150 ETH) are waiting for you! Despite the importance of online reviews, attracting honest feedback organically is a little harder than it appears. Award motivated users are more likely to write a review as soon as the service was consumed, thus significantly increasing the number of total unique personalized reviews. At the same time majority of such reviews tend to be positive, whereas standard approach is that "no award motivated" service consumers will rather wright a review on most popular sites only when they are not satisfied with the service. Dissatisfaction is the only motivation for many service consumers. At the same time, most of satisfied service consumers are not personally motivated to place a review. As a result, many retailers/service providers have lower review scores than their real quality of service. • No direct connection between retailers, service providers and users. ServAdvisor aims to create a real time constantly updated and maintained worldwide platform of trustworthy, accurate, and helpful retailers/service providers information and recommendations. ServAdvisor also aims to build a database of service consumers habits and preferences from which artificial intelligence can provide each individual user with personalized unique recommendations that are adjusted specifically to them. With artificial intelligence based recommendations and blockchain based high quality information, ServAdvisor will become the new standard for service discovery platforms with smart and trustworthy information. ServAdvisor is a worldwide first decentralized services recommendation platform based on unique customer specific preferences. ServAdvisor utilizes Augmented Reality (AR), Artificial Intelligence (AI), Smart Contracts and Original Token, creating a revolutionary token-based economy connecting service consumers and retailers/service providers into one eco-system. Allows ServAdvisor App users incentivize their service consumption. Special AI is used to provide quick and reliable user tailored services. With peer-to-peer and direct to customer communication we change the way retailers/service providers communicate to potential users. ServAdvisor shall create a truly global, high quality, decentralized retailers/service providers information and recommendation platform based on Augmented Reality and Artificial Intelligence, something that has never been possible with centralized services before. This offers huge benefits to both users and retailers/service providers and allows users to earn money while consuming services, that are tailored by AI to fit their preferences. Users will be rewarded for contributing their quality content and information to the App, even receiving part of the advertising fee from restaurants, and will be able to use the money they earn from their contributions to consume other services or even to transfer to fiat money. The platform also helps users find new and exciting services that they are sure to enjoy, helping them to enrich their daily lives. The ServAdvisor Platform will provide retailers/service providers with a new and highly targeted channel to send marketing messages to consumers, literally standing at the door. It will also provide retailers/service providers with access to valuable aggregate data about these consumers’ buying habits. This becomes a sustainable mechanism for retailers/service providers to maintain customer loyalty, to provide rich product and promotional information to influence purchase decisions. 10 mio users, over 1 mio retailers/service providers connected. 50 mio users, over 5 mio retailers/service providers connected. ServAdvisor Core Team combines a passion for IT industry expertise & proven record in finance, business development & marketing. Out of 20 professionals working on the project we are proud to present our core team. 20 years of Executive experience at NASDAQ companies. CTO & SENIOR ARCHITECT, FOUNDER. 15 years of Management experience at NASDAQ companies. native Android mobile business applications. HEAD OF BACK-END DEVELOPMENT AND DEVOPS. 15+ experience of SW developers team management. CEO AND CO-FOUNDER AT GKEYLAB LTD.
ServAdvisor is going to be a collaborative process. And we need support to make this ICO successful. So you win, we win. A team of skilled professionals has already dedicated a huge amount of their time and knowledge in order to make this happen — and we will continue to do so. With participation in the bounty campaign, you can become a part of the ServAdvisor project. Anyone can become a shareholder — Initial coin offering (ICO) starts on Sep. 10, 2018. We shall reserve 9 750 000 SRV i.e. SRV tokens for several bounties, which we will distribute to everyone who supports ICO before and during the ICO. Hello! I am editor from icoholder.com. Your IСO was added to our listing and now is available to investors: https://icoholder.com/en/servadvisor-21876 You can edit your Page by adding more information about your ICO after verification and also verify team members to improve ranking. Thank you! We will check and update. Hello all! I've just found SWOT analysis of this project. Does it seem realistic, how do you think? Thank you! We will check it later. Hi everyone! 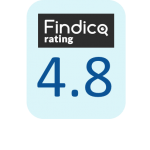 Just added this incredible ICO to my website https://findico.io/ico/servadvisor-srv Findico.io is a leading cryptocurrency and ICOs portal. Whether you are already involved with ICO or other cryptocurrencies or just want to get into it, Findico.io is a resource to keep updated. 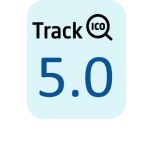 ICO rating platform supported by investors and financial experts and users. Findico.io mission is to make it easy for users to find the best ICOs to join. We strive to provide useful and transparent information on ICOs, helping users find projects that have a great potential for success. We also offer a whitelabel platform for ICO projects (Wallet, tokensale system, smart contract, audit and etc) to present themselves to potential users. We have steadily increased the quantity and the quality of information required from ICO projects and we will continue to do so to help this new industry flourish. I am an editor from cryptoslate.com, a destination for cryptocurrency investors and researchers — featuring cryptocurrency news, coin rankings, initial coin offerings and blockchain events. We just added ServAdvisor with a dedicated ICO listing page to CryptoSlate's ICO database and is now available on our website. If you need help in editing any information about your ICO, please go to ServAdvisor ICO page on our website and click "Suggest an Edit". Feel free to contact us via https://cryptoslate.com/contact/ if you have any questions. Thank you. Thank you! We will add missing inputs if any. in order to reward supporters with SRV Tokens. post on bounty thread and we will reply to you with answer. • Join MS Bounty Support. • Participate in Main ANN Thread. • Each week lasts from Monday to Sunday. • We reserve the right to change the conditions of our bounty program (duration, rewards, stake system structure...). • We reserve the right to fix max token per stake at the end of Bounty program to protect project, investors, participants and token price. • Using multi-accounts, cheating and spamming are not allowed. • We will validate everything we consider to be fake or scam and we reserve the right to remove you from any campaign at any time if we think you are not honest, or spam the forum. • In case we remove you from the campaign for any reason, we reserve the right to delete your rewards. • The distribution of the tokens to bounty participants will happen after the end of Pre-ICO. The actual amount of tokens you will get will be determined at the moment of such distribution. The ServAdvisor Airdrop programm is designed to reward community members who help to promote the project and the Pre-ICO with free SRV tokens. We are going to distribute 2 275 000 SRV tokens (worth ~ 35 ETH) to all of participants. 1. Join ServAdvisor Telegram (15 stakes). 2. Join MS Bounty Support (15 stakes). 3. Follow our Twitter: https://twitter.com/ServAdvisor (15 stakes). 5. Retweet our last tweet (10 stakes). 6. Follow and like our Facebook page: https://www.facebook.com/ServAdvisor/ (15 stakes). 8. Like & Share our last post (10 stakes). Spread the word with your original content and earn SRV Tokens by: Blogging/Video about ServAdvisor. 2. Join MS Bounty Support. • In the priority of popular and respected media. • Your post must include at least 2 links: to https://servadvisor.co/ website, ServAdvisor ANN thread https://bitcointalk.org/index.php?topic=3903200.0, other ServAdvisor social media or to the other articles about the project. • Make sure you have full understanding of the ServAdvisor. 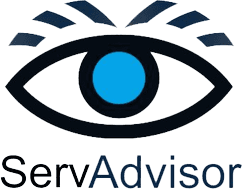 Read the ServAdvisor project. • All content will be judged on the basis of quality, traffic, views and influence (views, clap, vote, like, share...). Feel free to ask any questions in ServAdvisor Telegram & MS Bounty Support. • You must like and share at least 5 posts from our Facebook account per week. • You must make at least 2 (unique & meaning with a minimum length of 75 Characters) posts per week with hashtag #ServAdvisor #SRV and link either to the BTT ANN Page (https://bitcointalk.org/index.php?topic=3903200), Bounty thread (https://bitcointalk.org/index.php?topic=4715637) or ServAdvisor Website (https://servadvisor.co/). If a post does not include one of these links, it will be regarded as invalid. • No more than (1 post + 1 like&share + 1 share in Crypto Group) will be counted per day. • All posts will be considered weekly from Monday to Sunday 23:59 GMT. • Create only 1 new post every week in the Bounty Thread to report your work before Sunday 23:59 GMT. Otherwise, no stakes will be given. • ADD (d/m) of links and DON'T quote old reports. Otherwise, no stakes will be given. • Often check Bounty thread & Spreadsheet to be updated. • You must like and retweet at least 5 tweets from our Twitter account per week. • You must make at least 2 (unique & meaning with a minimum length of 75 Characters) tweets per week with hashtag #ServAdvisor #SRV and link either to the BTT ANN Page (https://bitcointalk.org/index.php?topic=3903200), Bounty thread (https://bitcointalk.org/index.php?topic=4715637) or ServAdvisor Website (https://servadvisor.co/). If a tweet does not include one of these links, it will be regarded as invalid. • No more than (1 tweet + 1 like&retweet) will be counted per day. • Tweets have to be in English. • All tweets/retweets will be considered weekly from Monday to Sunday 23:59 GMT. • Create only 1 new post every week on the Bounty Thread to report your work before Sunday 23:59 GMT. Otherwise, no stakes will be given. Bonus: +50% of stake if you wear our avatar. • The Signature should be kept until the end of the ICO, removing the signature before that time will result in a disqualification. • You are not allowed to use another project’s avatar. • The posts must be made in the alternate cryptocurrencies forum section. Posts in all of language are allowed. • You must do at least 10 post per week to be eligible of weekly stake. • Only Posts that are useful and constructive will be eligible towards the 10 Posts/Week goal. Posts that are off-topic, or simply made for the intention of raising post count will be disqualified. • No more than 2 posts will be counted per day. • A post must have a minimum length of 75 Characters to be counted towards post goal. • Keep your signature on until the spreadsheet is updated with your final post count, for at least one more week, removing it before post count will not be accepted. • Negative trust accounts are not allowed to participate. Every week you must report your actions, if you don't report, the week is not scored. Nice project, I like this. Our Golden Participants - LastKiss.